Jurgen Klopp insists there will always be opportunities for young prospects in his team after another noteworthy contribution from Ben Woodburn. 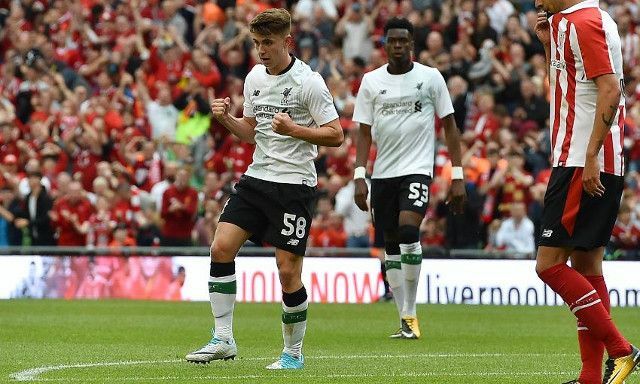 The German’s side rounded off their pre-season in style on Saturday with a 3-1 win over Athletic Bilbao, in which Woodburn produced a moment of fine individual brilliance to restore the lead for his team. Liverpool’s youngest ever goal scorer put the Reds 2-1 up just before the hour mark when he fired home from the edge of the box after some excellent build up play from Dominic Solanke. It served as a welcomed reminder of the teenager’s sheer natural ability as his perfect touch fooled two defenders and opened the space for him to direct a left-footed strike beyond the Bilbao goalkeeper. Woodburn enjoyed a breakthrough 2016/2017 season as he was handed a number of first team opportunities thanks to his standout performances for the U23s. He is expected to build on that over the next year with the club’s busy schedule likely to ensure he earns more minutes in cup competitions and also potentially in the Premier League. To be playing with so much confidence at this stage bodes well for a young man who still has plenty of room to develop, both physically and tactically.